FORT WORTH, TEXAS Sept. 26, 2016 – Elbit Systems of America, LLC, headquartered in Fort Worth, Texas, is a global leader in advanced sensors, handheld targeting systems, and M1A1 Main Battle Tank electro-mechanical controls for the United States Marine Corps. Elbit Systems of America will demonstrate these next-gen solutions during this year’s Modern Day Marine on September 27-29, 2016, held on Marine Corps Base Quantico, Quantico, VA. Visit booth 2105 to discover how Elbit Systems of America meets the challenges of the USMC with innovative technologies and solutions. “Elbit Systems of America is committed to protecting our highly skilled marines by providing cutting-edge technologies. Our systems, coupled with the combat power of the USMC, ensure ground combat forces have the ability to fight and win in most complex environments,” commented Dr. Amela Wilson, Elbit Systems of America’s vice president of Sensors and Fire Control Solutions. Elbit Systems of America is advancing the field of precision targeting systems. Laser designators and laser range finders have evolved, giving Marines enhanced targeting capabilities, while increasing the effectiveness of guided munitions and indirect fires. The electro-optics of the targeting systems provide combat commanders the ability to recognize and range targets in day or night and good or bad weather. 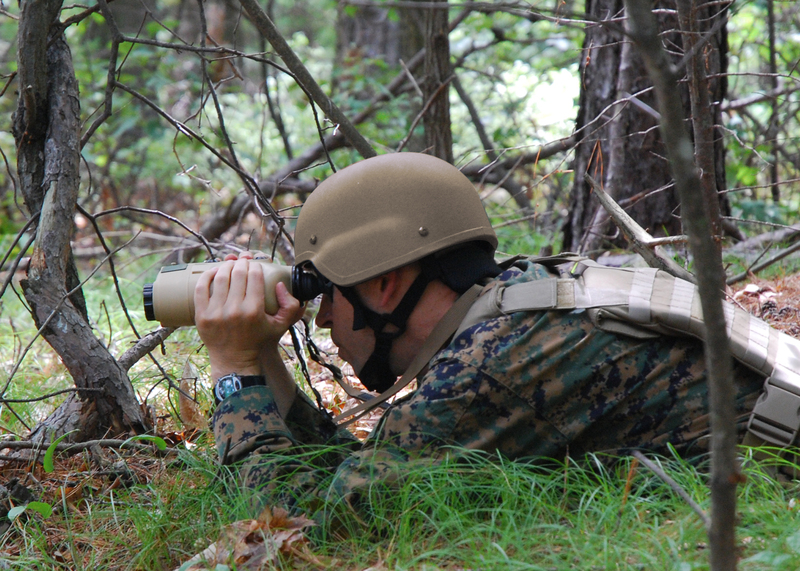 The Common Laser Range Finder-Integrated Capacity (CLRF-IC), recently acquired by the USMC, gives dismounted Marines a handheld targeting system that integrates a rangefinder, day and night cameras, GPS, and celestial positioning precision to Forward Observers. The Enhanced Joint Terminal Attack Controller Laser Target Designator (EJTAC-LTD) is a light weight laser designator that combines day and night laser designation and marking with range finding capabilities. With this system, Forward Observers benefit from the digital magnetic compass and targeting message output to GPS systems. As information is transmitted across the battlefield, Elbit Systems of America’s Common Intelligent Displays (CID/CID2) and Smart Display Units (SDU) provide cutting-edge processing. The CID and SDU enhance the Marines ability to precisely fire high volumes of rockets and missiles into identified target areas. With a dual quad core processor, picture-in-picture overlay ability, and modular processing units tailored to meet mission requirements, Elbit Systems of America’s family of displays are capable of providing increased fire control data. Elbit Systems of America will highlight the Satellite-On-The-Move (SOTM) low-profile antennae. Mounted on any type of land vehicle, SOTM’s advanced tri-band satellite antennae provides maneuver elements continuous voice, video, and data communications while in motion. When linked with Elbit Systems of America’s CID or SDU, the SOTM antennae gives the USMC a technical advantage to destroy targets. Elbit Systems of America provides the electro-mechanical controls for the Tank Commander’s Single Hand-station (TCSH), one of the heaviest pieces of land equipment in the USMC’s portfolio – the M1A1 Main Battle Tank. This upgrade gives commanders a unique advantage in identifying and engaging threats. With reduced targeting engagement time and increased gunner-commander collaboration, this system improves the tank crew’s ability to coordinate fires, extending lethality. Unattended ground sensors (UGS) are instrumental in protecting against advanced enemy encounters. Using proven technology from some of the world’s most challenging borders, the UGS distributed surveillance solution continuously monitors perimeters in any location across a sophisticated wireless sensor network. This networked solution gives Marines operating in hostile environments a pivotal advantage in identifying threats before engagement. For more information on these and other solutions from Elbit Systems of America visit booth 2105 or at www.elbitsystems-us.com.